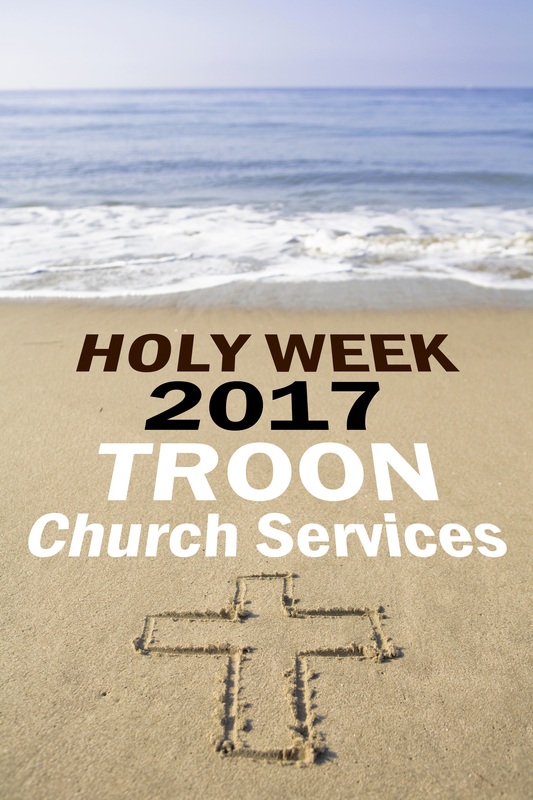 Troon Churches Together invite you to share in our united Holy Week services. In the week leading up to Easter, every evening at 7:30 pm there will be an ecumenical service of worship. This year these services are being held here in Troon Old Parish Church, led by Rev Dave Prentice-Hyers. Over the course of the week, preaching will be shared by clergy and leaders from the various Troon churches. On Maundy Thursday (13th April) the evening service will include the sacrament of Holy Communion. There will be an additional “bus timetable friendly” afternoon communion at 2:30 pm in Troon Old Parish Church. On Good Friday, as well as the evening service, there is a late morning service at 11 am, after which members of the Church of the Nazarene will lead a short procession taking the Cross to Troon Cross. At 8:30 pm there will be an Easter Vigil at Our Lady of the Assumption and St Meddan church. The joint Easter Sunday Dawn Communion service is held on Troon Beach (near the War Memorial) at 6:30 am. Wrap up warmly and enjoy this uplifting open air service of worship. Breakfast – in the form of very tasty hot filled rolls – will follow in St Medddan’s Parish Church. All other church services follow at normal times. 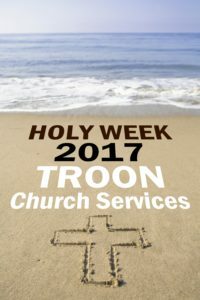 Troon Holy Week services are for our whole community. Everyone – whatever your background – is welcome to attend every service. If you haven’t been before, please consider attending one or more services, as we journey together through the transforming events at the heart of our Christian faith. May you rejoice in the coming of the Risen Lord this Easter time and throughout the year!